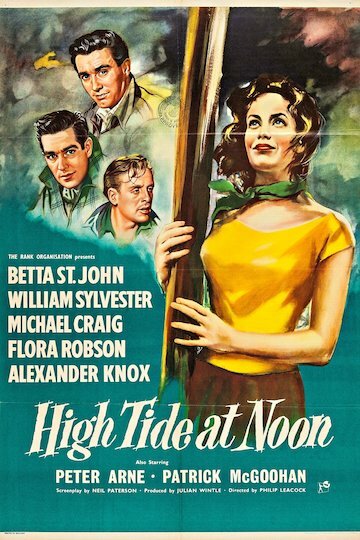 "The dramatic ebb and flow of a young girl's love..."
High Tide at noon is a British drama film that was made in 1957. The movie is set on an island off the coast of Nova Scotia. The islanders are happy with their lives. They live at a slower pace and enjoy the experiences that life brings them like love and jealousy. Trouble unfolds when they are forced to move to the mainland by the economics of the times.